Life is an energy. Every nerve impulse in your body is a source of energy. Every cell in your body is a tiny battery on the tension between 70 and 90 milivolts – if it’s healthy. Our muscles are powered by chemical energy. Steaks with potatos which you have eaten for dinner are your fuel which you burn. Food is like coal shoveling in a furnace. Digestion is nothing more than slowly burning of those energy products to let you body live longer. In a scientific concept, death is defined as lack of electrical brain activity. To sum up, every life is an energy. Energy isn’t good or bad. It just exists. The same energy is used by chiroptacticor or physiotherapist to stimulate your muscles and stand for you treatment using all those assistive devices. And the same energy is used in prisons for executions at the chair. So, is the energy good or bad? You can not answer this question. Everything depens on amplitude and frequency you use. And the purpose you use it for. The same laser is used to shoot enemy aircraft down or as a deadly ray in a movie, and by the eye specialist during sight improvement treatment or during plastic surgery to remove wrinkles or hair. The difference is in amplitude and frequency. Using energy in treating process has long long history. From assistive devices and laser surgery, by sonic waves crushing kidney stones, roentgen rays, magnetic fields, to the light clearing up blood finally. As we will see, scalar energy is nothing more than other use of healing energy. It is usage the science in consonance with nature. We are going to talk about health and nutrition which probably are new for you. Presuppositional, it is not a tough topic. But taking into consideration that it is fresh look at health and nutrition. That’s why, we are going to start slowly. To account for all of these, we will raise a subject of esoteric, higher math and quantum energy. But don’t worry. It won’t be too advanced. Also, after every section I am abstracting what you’ve just read and emphasize the most important things you should remember. What is more, we are going to learn, how the healing energy frequencies are transported from diagesting products to every single cell in your body. What has a big impact on your health. The whole energy, we usually think about, is characterized by energy molecule features and its waves. 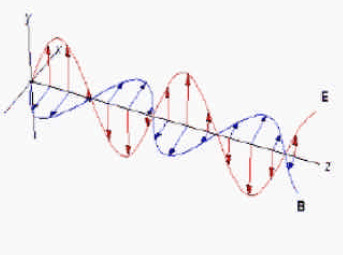 We can portray those waves using graph as Hertz’s waves (electromagnetic waves). We talk about everything from electricity to magnetism; from light to sound. The only difference between all those energy forms is the speed of raising and falling (frequency) and their amplitude (the intensity of raising and falling). But the Scalar energy is a little bit different energy type. The scalar energy always existed but only recently the scientist started to use it. Looking back to the begging of XIX century, Clerk Maxwell put across four basic equations, which describes it. Don’ even bother to understand this. But forget about it now. What is making those equations significant is using P – scalar energy density, theoretically formalized for the first time. It happened almost 50 years after Nicola Tesla demonstrated scalar energy. When Tesla passed away, he took all secrets with him. And after 50 years the science interested in his revelation again. They started to exploit its potential again. What the scalar waves are? The standard definition says that scalar waves are made by two identical waves (called wave and antiwave) which are in spatial but out of time. So two waves are physically identical but they are different in time. As a result scalar waves looks different that Hertz’s waves. Different – what does it mean? First of all, it is more like field than wave. Instead of flow along lines or in rays, let’s say fills the setting. It is very important in scalar technology development. That’s why scalar energy cross through solid bodies without losing a tension. This is exactly what Tesla demonstrated over 100 years ago, transmitting scalar wave trough the ground without losing its field power. And again, this is important in fortifying products with scalar energy. Implements into solid bodies. This is actually the cornerstone. Electric fields can be implemented but not as well as scalar energy. This is very important talking about embedding energy field in objects and transferring energy from those products to your body cells. Scalar energy can regenerate and reconstruct idiopathically. It is also very important for your body. Other words, when energy charge is implemented, you can keep it u by regular taking charged objects. Right scalar frequency has lots of positive effects for your body. In the New Age society it is said about things like Tachyons, Radioing, Pyramids etc. Researches show that they are emitting scalar energy products. But much more effective are fortified scalar products. Actually, scalar waves can be generated in many ways. E.g you can generate them electronically, magnetically, physically (using Möbius strip) or optically. You can buy a watch that connects Möbius strip moves and generates protecting scalar field. There is lots of crystal structures in a cell wall – every single wall can keep up charge. There are lots of liquids in crystal collagenous system filling extracellular space – all of them keeps up a charge. Let’s talk about those more abstract questions. Just for a moment. In the minute I am going to summarize and simplify everything. Focus please for a sec. There are quantum models describing abstract molecules like Excisions’, Plasma and Solutions’ which can warehouse and transporting biological information between molecules in response to a low scalar energy level. In other words, scalar energy can inscribe in your DNA. Before we start talking about benefits from using scalar energy, we should tell something about evidences for all I tell you about. This is so true. With all those false premises. But yu can create a hermetic environment, where dampness and pressure are constant and have no impact on image. Even in those conditions it is possible to make some interesting photos. Eg. There were placed two identical lentil grains beside. The only difference was that left side lentil was steeped in hot water for about a minute. According to U.S. News and World Report, the left side grain should conduct more electric energy and produce lighter field than the left one. But true is an opposite situation. That’s why, WHO and Cambridge Institute with others institutions study Kirlians’ photography in a teeth of her opponents. What we can learn about scalar energy from Kirlians’ photography? The most important is that scalar charge stays in products. I show just a few examples of products before and after scalar energy implementation below. Two sets of photos above are revolutionary in their usage. (Accidentally those photos were made using new process – directly digital imaging, which minifies dampness, pressure or temperature impact). The DNA line experiment shows that the more organic the object is, the bigger field energy s going to be. Scalar energy objects always have bigger field. What are the healing benefits from usig scalar energy products? Well, lots of them. AND THEY ARE VITAL. Eliminates and cancels generated by human frequency (60 cps) in a body. Increases every single cell energy to the perfect level of 70-90 milivolts. Increasing covalent energy of every single hydrogen atom in the body. It was verified using a spectrograph. It is important because covalent bonds connect DNA strands. Other words – using scalar energy products protects your DNA against damages. Corrects permeability of cell walls and facilitates absorption of nutrients to every cell. Eliminates poisons. Because of huge permeability potential, scalar energy products cleans up every single cell in your body effectively. Decreases surface tension of products reducing time which your body needs to asimilate those products. If you never have enough benefits, regular using of scalar energy products can prevent cancers supervention or regression. Cancer cells are low tension cells. As I said, optimal tension of cells lies between 70 and 90 milivolts. Cancer cells exists just about 15-20 milivolts. There were lots of theories proving this thesis. One of them says, that when the cell tension threatens its survival, the cell starts reproduce nonregulated trying to survive. If we raise the cell tension, it doesn’t have to reproduce any more. As the result, it become normal cell again. It is significant in cancer trating. How long does the product keep its charge? The better quality is the product, the longer it is going to keep his charge. The high quality of organic products can produce a stronger charge after 6 months from charging. Are the charged products safe? Sure. There is nothing unnatural in scalar energy. It exists between us from the begging. The base of healing features is its frequency issue. Which frequencies do we consume? There are two basic frequencies. The first one is shown by Schuman’s resonance. It oscillates between 7,8 and 8 Hz. This frequency is emitted by earth when there is nothing made by human around, no plant and no animal. It is internal earth frequency. The second one you can register in equatorial forest. It has about 12 Hz. Of course, to measure it, there can be nothing made by human around, no plant and no animal. Those are two basic scalar energy frequencies with all features mentioned above. What can I observe using scalar energy products? Except all the features mentioned above, you are going to see that you absorb energy quicker and with better effects. A few years ago I discovered built up the Barron’s effect which uses energy enhancement assumption to modify physical structure o herbs making liqueur. As a result he obtained liqueurs 100% harder alcohol than any known before. Over two past years, I was monitoring a few research groups (including past NASA scientists) which developed technologies based on similar assumptions. They embedded scalar energy in food products. Absorbs better and work better that other products. Charges every single cell of your body with healing scalar waves. The more enriched products you consume and the more often you use them, the better result. Effects cumulate! Life is energy. We are energy. Universe is built from energy. Energy is on waiting on us all our life, from the birth to dead. All living organisms generate their own energy field. 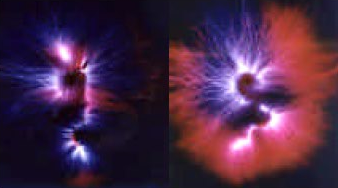 Electromagnetic field is essential to right growing and developing everything that lives. There is a variety of electromagnetic waves, being located in atmosphere. They come from Earth and from Moon. Natural electromagnetic fields have positive impact on organisms. They are essential for all living beings. We coexist in a harmony surrounded by electromagnetic waves. Every cell is like mini battery, which is electrically charged between 70 an 90 milivolts (the healthy ones). Every nerve impulse, muscle contraction, heart beating or a breath. Every activity has its beginning in electric charges flowing. Electromagnetic waves flowing right, when cells membranes are not damaged. Deformed or damaged cellular membranes violets energy flowing what is harmful for the organism. Every physical body of living organism is perceived as regard to cardiovascular, nervous, respiratory or digestive system and reproduction. In consort with lymphatic system we can get whole physical aspects of human body. Our muscles are supplied by chemical energy. Eating is nothing more than shoveling coal into a furnace. As an effect, the warm is produced. So, digestion is a slowly burning process, when the essential to life energy is produced. Death is defined as lack of electric brain activity. Yes, life is energy. Energetic system works beside traditionally accepted systems. Energetic health can be measured as energy flow. For an optimal health, energy must move. Undisturbed flowing brings balance, harmony and health. Blocked or asymmetrically flowing energy is an effect os negative electromagnetic field impact. geopathic radiation, unnatural electromagnetic radiation brought by technology development (all electronic devices, computers, mobile phones, microwaves, communications system), underground watercourses, fumes, toxins, plant protection measures, food deficits, stress – all of these are a reason of disturbed energy flowing. Long lasting influence of those factors brings deformations and as a result cells damaging. When energetic paths are blocked, the life energy flow isn’t effortless. It leads to immunological system disorders and diseases. As we have a physical anatomy, w have “energetic anatomy”. Biofield surrounds and pemeates us, if we want it or no. This knowledge has been known in the ancient cultures like India (called PRANA), China (QI), Polynesia (MANA), Japan (KI). To keep healthy bodily functions, we need energetic balance. If the balance is disturbed, we can bring it back using scalar energy. Scalar energy is a harmonically balanced energy which vibrates ad radiates. It exists from the universe beginning and is all natural. Making special conditions, we can produce it artificially. We can supply its lack in our biofield surrounding by special objects. We can tell that James Clark Maxwell developed it. He was a Scotsman that lived in XIX century. He was a mathematic genius and his researches brought quantum physic development. Albert Einstein based his theory of relativity on Maxwell’s discoveries. But only after 50 years Nicola Tesla proved that scalar energy actually exists. Soon after that he started to produce scalar energy without using wires. Nicola Tesla all his life was looking for a way of cordless energy transferring. Traditionally we “see” energy as a wave. But scalar energy isn’t a wave. It spreads into a circle, energy circles. It arises when two equal frequencies come across and abrogate each other. The zero frequenced energy arises. Thats how the scalar energy develops. You can’t measure it using modern frequency gauges. But it can transport information. What is more it doesn’t breakdown. Scalar energy transports field with her like a living organism. Nowadays, everybody can have scalar energy products. The most popular is Quantum Pendant Medallion.